Have you exhausted all the things you can do on a unicycle and BC wheel? Well here is your next challenge. The ultimate wheel is the ULTIMATE challenge in one wheel! This model offers a really dynamic design of ultimate wheel riding. The 24 inch is the most common size for stunt-riding. The 20-inch is the most challenging size you can purchase. #1290 Ultimate Wheel 20 inch $160.00 ea. 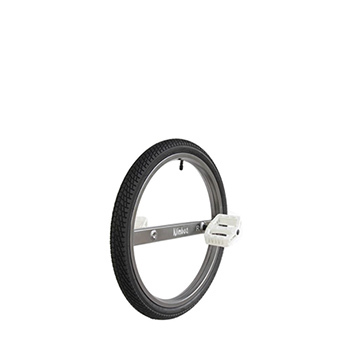 #1291 Ultimate Wheel 24 inch $170.00 ea.